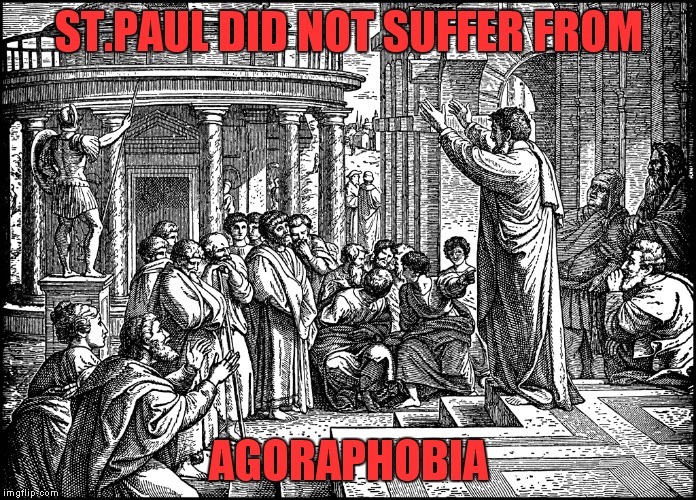 Agoraphobia, fear of the marketplace, is no laughing matter. I had this once for several years in 1980’s due to stress. God slowly gave me life again by depending on Jesus instead of my own strength. Here God gave Paul the Holy Spirit to preach boldly and without fear. Jesus helps us along the way.